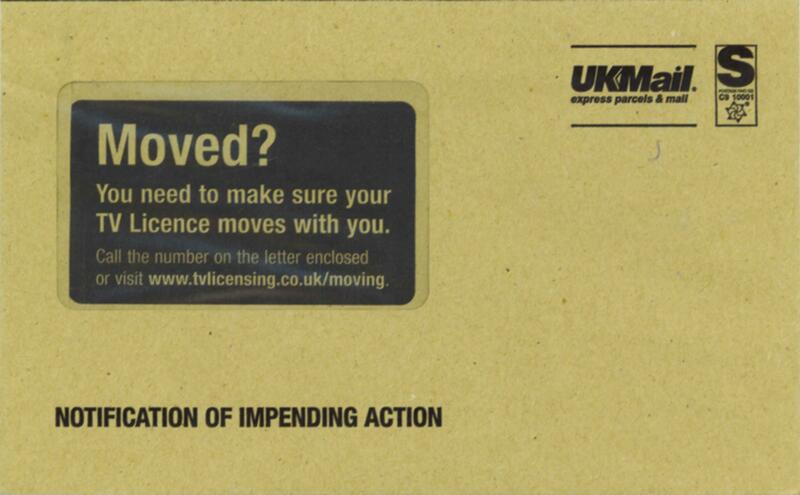 It has been two years since I became an unlicensed person. 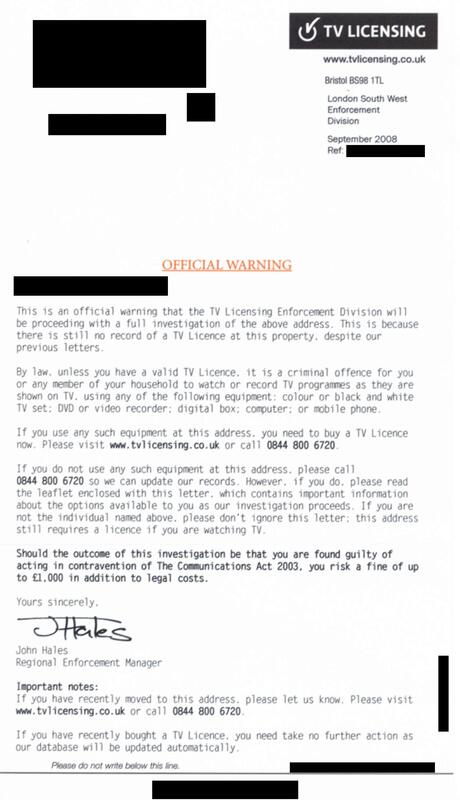 I have saved £402.50 by not paying TVL/BBC. 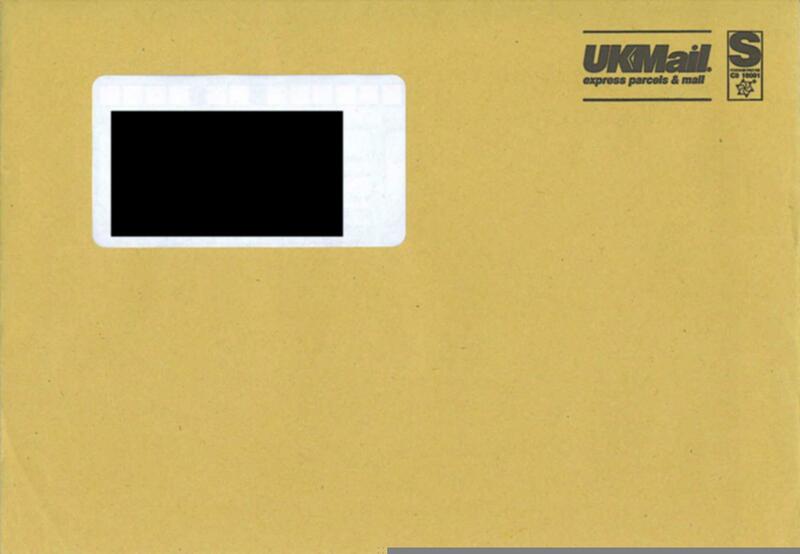 Today, I receive my 21st letter. 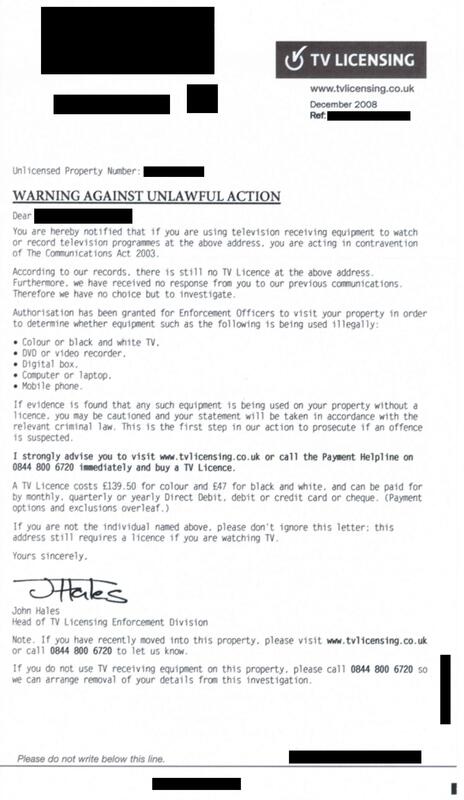 Mr Hales says that the TVL/BBC caught "32,336 evaders" last month. I wonder whether this is another bogus figure. If anyone out there has the same figure for a different month, or in another region, I would be interested to hear. 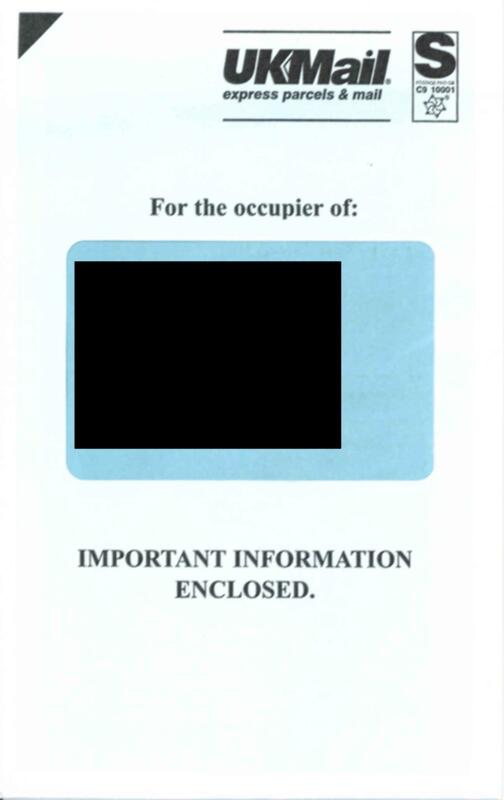 The psychological purpose of parts A and B is to induce the reader into selecting at least one of them. 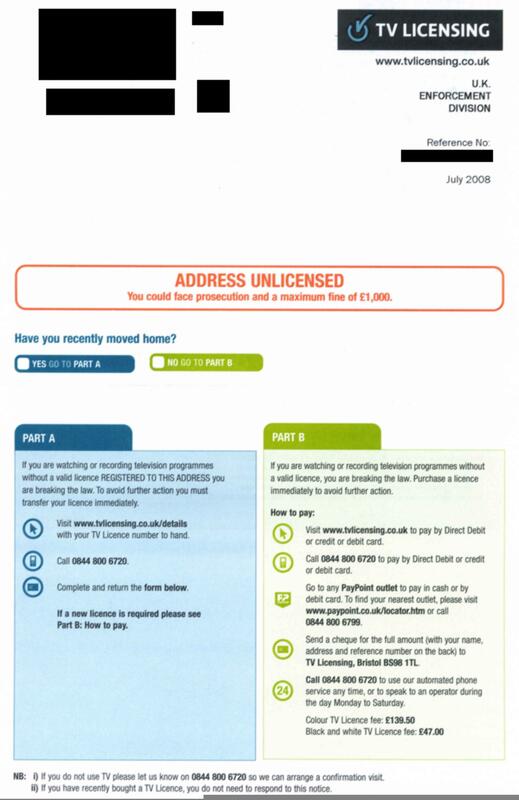 This is a technique commonly used in sales, whereby prospective customers are presented with options A and B with the aim of creating thoughts as to which option is chosen, not whether one of the two options is chosen. 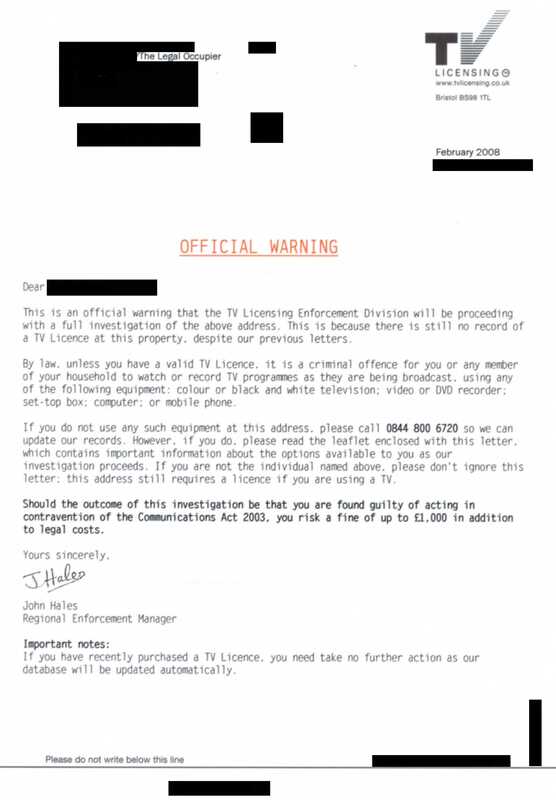 TVL/BBC reduces the option of not using TV (they mean receiving broadcasts) to a footnote, and ties to it the condition that the reader should telephone TVL/BBC and expect a visit. The option that the BBC leaves people alone is not listed. 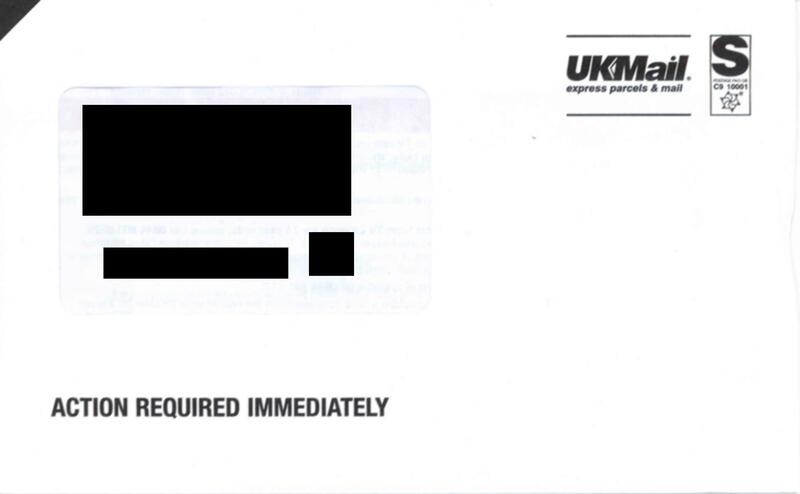 The BBC is lying to me again by saying that action is "required" on the front of the envelope. Inside, I am greeted by TVL/BBC's new logo, which omits the trademark symbol ("TM" in a circle). 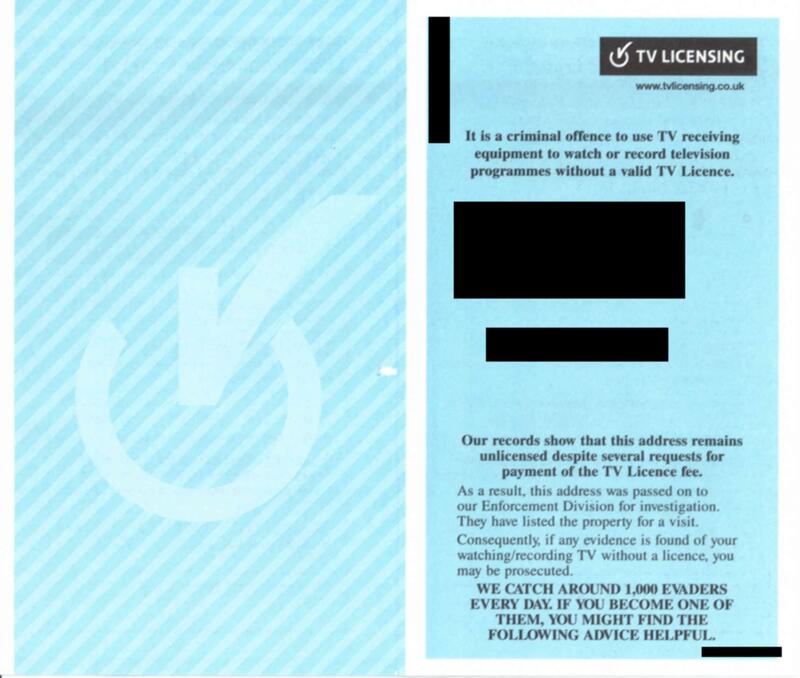 This gives the impression that TV Licensing is an organisation rather than the brand name it is. I used to compare signatures on high value cheques in a bank and can state categorically that this pair will fail any comparison test. The new signature is broader and more relaxed; the J starts from a pronounced curve; the top of the J sweeps across; the top of the A is not closed; the L is not looped; the letters are not joined up; and the signature is not underlined. Finally, the new signature is level, whereas the previous signature is written at an angle. 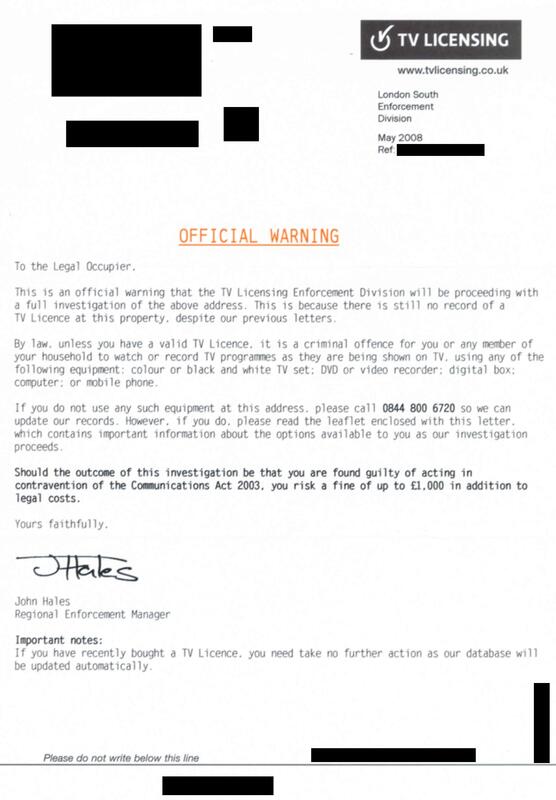 These signatures are not by the same person, and I conclude that "John Hales" is not real. 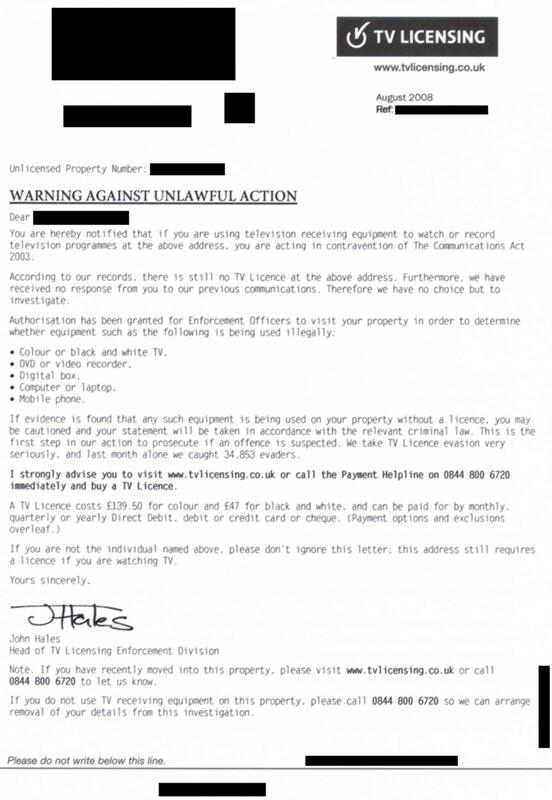 This is the second time the BBC has misled me as to the identity of the person writing to me; click here for "Val Smith". 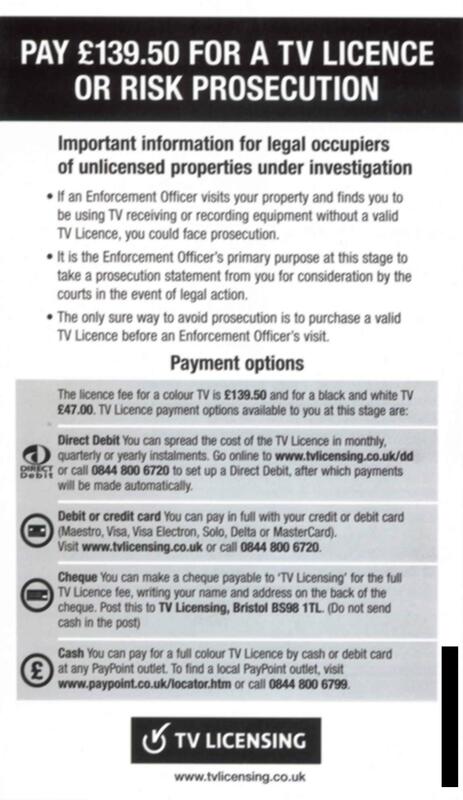 I am disappointed that despite the exposure of the BBC's bogus phone-in contests, its withholding of charity money and other deceptions, the BBC still regards misleading people and using false information as permissable. 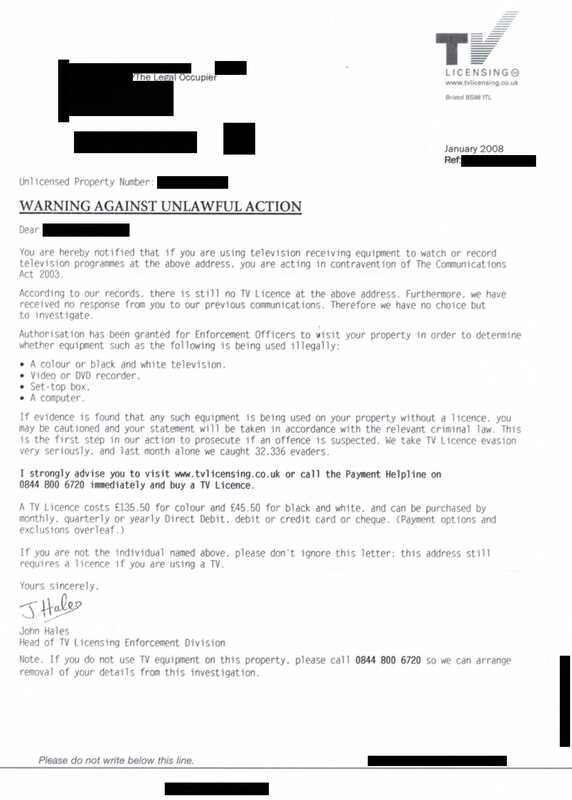 Enclosed with the letter is the same leaflet as received in February (see above). 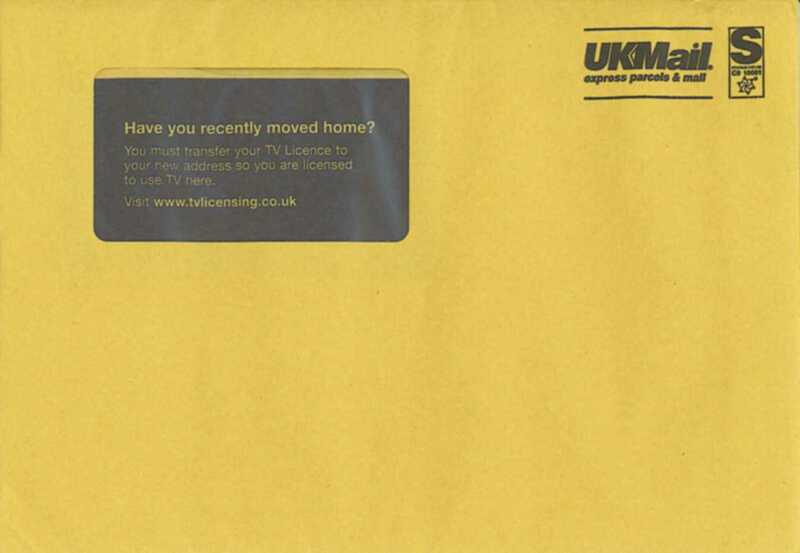 This is the fourth time I have received this particular leaflet. Since the only difference is the change in payment total and TVL/BBC logo, I will save on visitors' downloading time by not reproducing it. 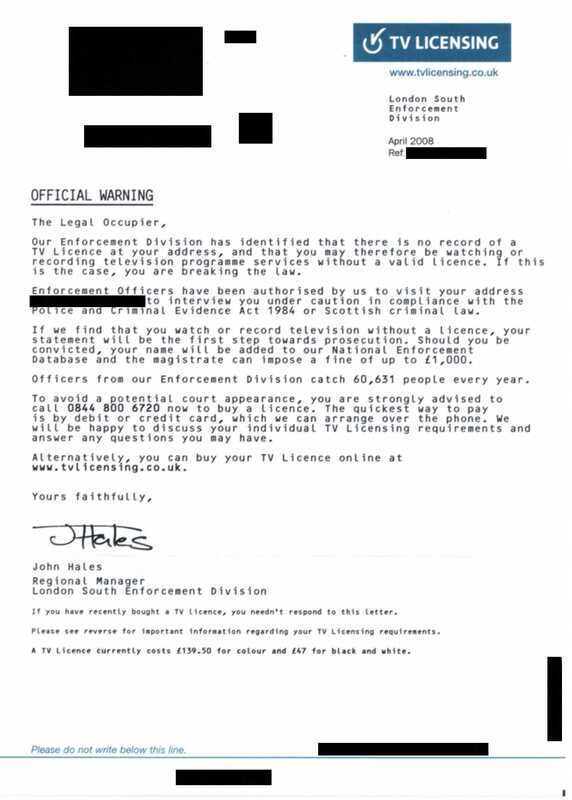 Previously, letters were from the London South Enforcement Team; this one indicates London South West. 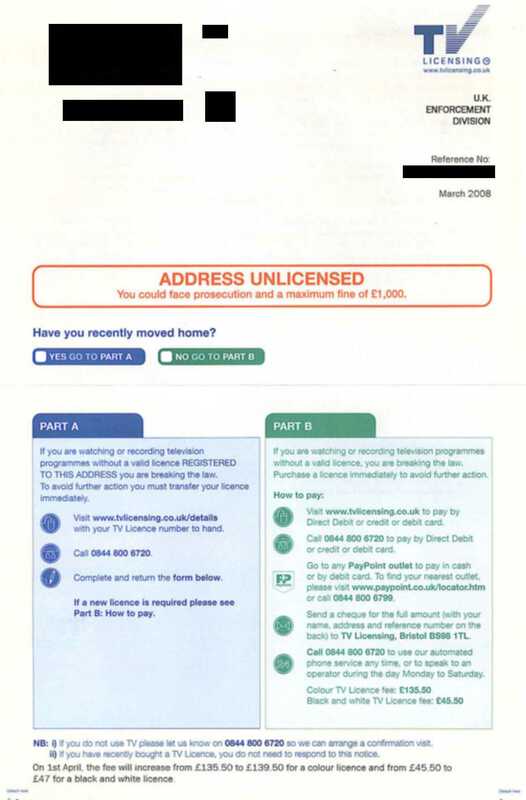 Looking at my previous letters, I see that the letter of May 2006 refers to London South East. 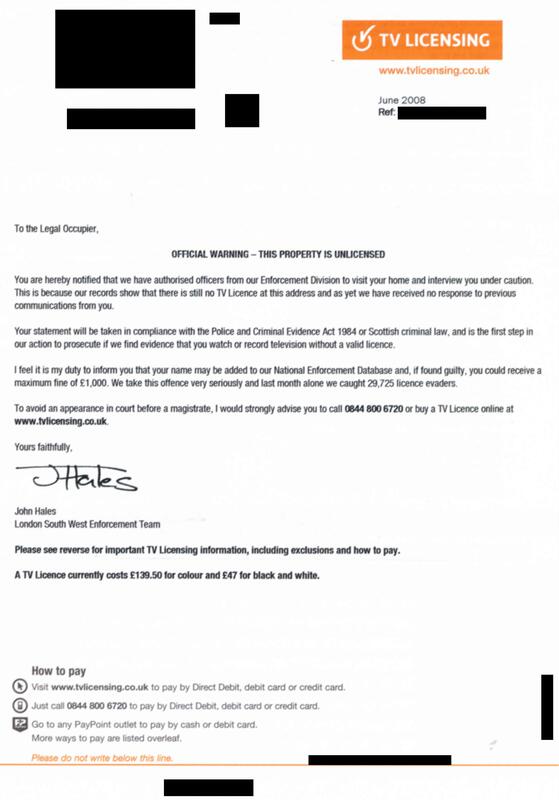 I do not see how I can be switched from London South East to London South West; my property has not moved. 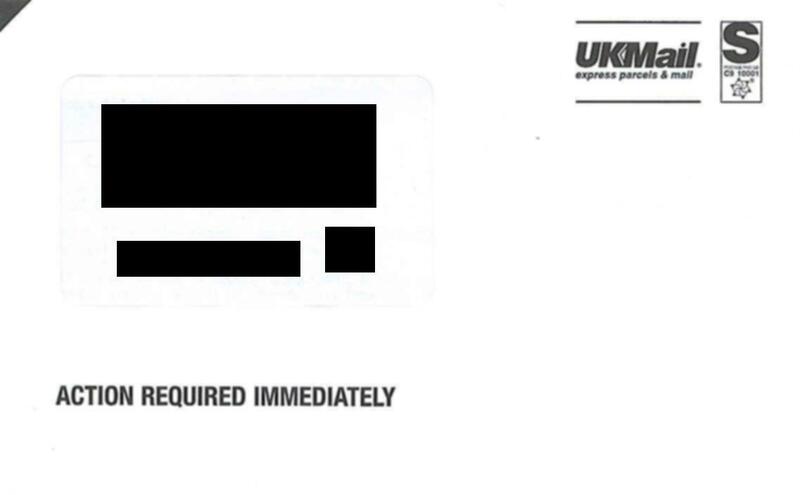 We have switched departments again: the June letter was from the London South Enforcement Team; this one is from the "UK Enforcement Division". 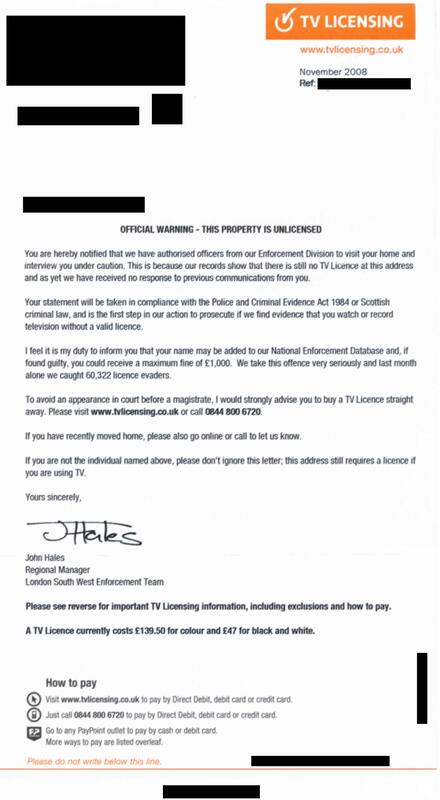 Does that mean there are enforcement divisions outside the UK?